This year’s Festival promises a world class line-up of cultural events that will showcase all that is great about Ireland both domestically and internationally, creating a carnival atmosphere across the Capital. At only 19 years of age, Joanne has achieved remarkable things in her life. She has been awarded both Cork Person of the Month and Outstanding Young Person of the World and spoke in 2012 at the United Nations about technology where she challenged the technological minds of the world to invent a robotic device that would assist her in becoming even more independent in her daily life. Trinity College Dublin answered this call and is currently in the process of developing ‘Robbie the Robot’. 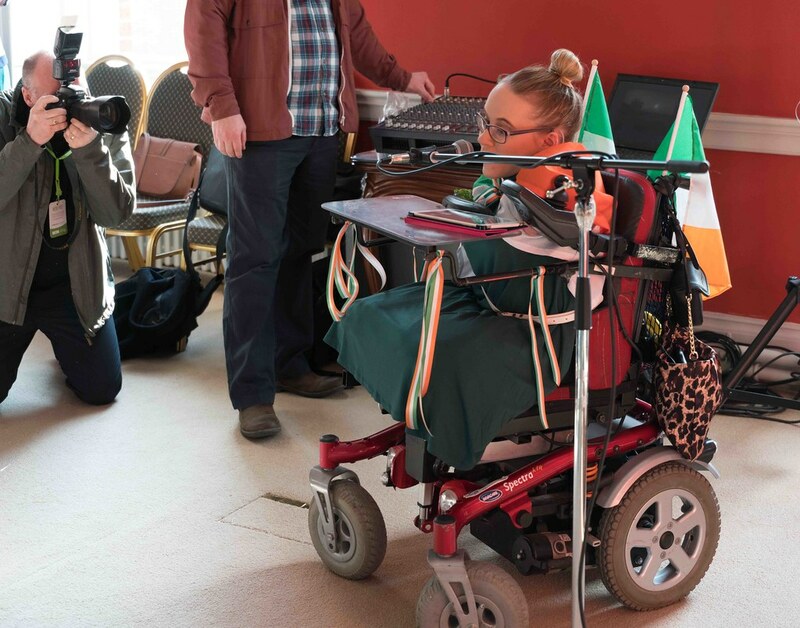 Recently Joanne appeared on RTÉ Television in an independent documentary titled No Limbs No Limits which was directed and produced by her brother Steven. The film explores Joanne’s personal relationships with her family and those she meets on a daily basis and is seen as an education on how the human spirit can triumph over adversity. 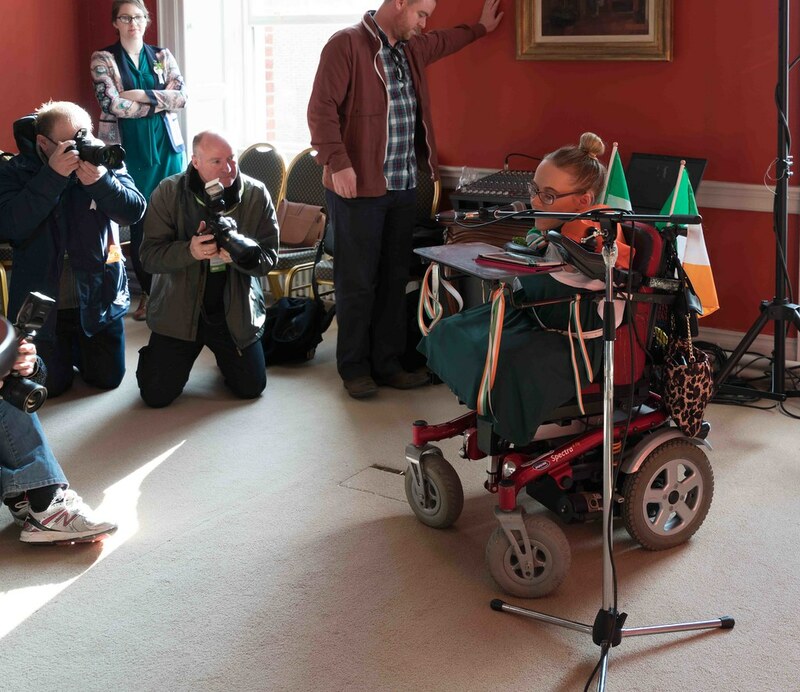 Joanne, a 2nd year criminology student at UCC and from Millstreet Co. Cork is one of seven people in the world living with Total Amelia, a syndrome in which individuals are born without limbs. Total Amelia is a very rare congenital disorder which is caused by mutations in the WNT3 gene and in Joanne’s case means she was born without all four limbs. Joanne received a Quercus Scholarship to study in UCC for her Active Citizen work. Joanne recently won the JCI (Junior Chamber International) Top Outstanding Young Person of the World award which saw her fly to Japan to accept the accolade. Both Joanne and her family have never allowed her condition to hold her back. Using technology to enhance her abilities in both her educational pursuits and the wider social environment has led to Joanne conquering major challenges at home, in school and around her local community. Joanne lives life with a no limits mentality and her outlook on life has served as an example both nationally and internationally to all able bodied and disabled bodies to live very happy, independent and fulfilled lives. In 2014 the Festival embarked on a three-year creative thematic for its principal event, the Festival Parade, each year being inspired by the Past, the Present and the Future respectively. The 2016 theme, Imagine If..., responds to the Future thematic and marks the final instalment of an exciting creative trilogy which will see the streets of Dublin come to life with spectacular pageantry and performance. St. Patrick’s Festival is proud to be an official programme partner of Ireland 2016. In what is a significant year for Ireland, the principles of the proclamation and the significance of this period of history in shaping the future of Ireland and her people have inspired a number of events on the 2016 Festival programme. The ever popular cultural programme, I Love My City, returns to the 2016 festival. 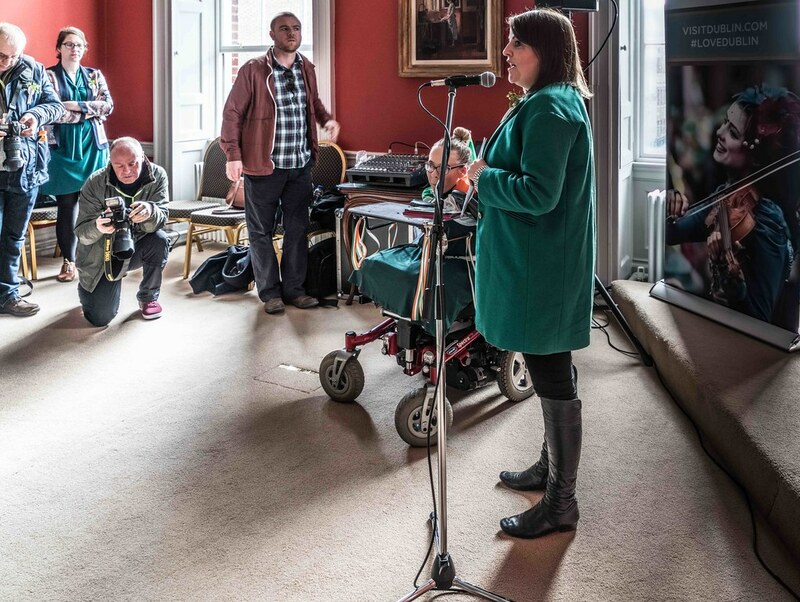 The series of engaging, evocative and intimate cultural events and happenings that have been curated by the Festival will be staged in some of Dublin’s most beautiful, historic and prestigious cultural venues and spaces. 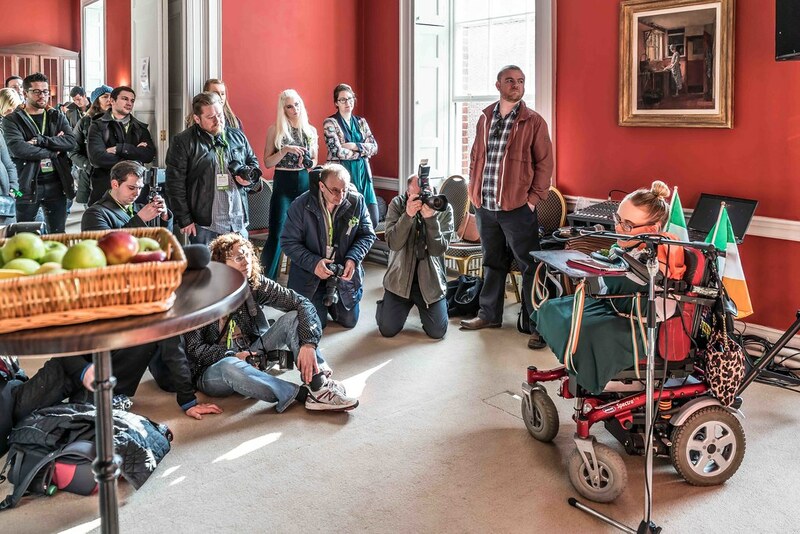 Headline events, featuring established and emerging Irish and international artists, from a variety of disciplines, including literature, music, film, spoken word, design, visual art and more, will be presented throughout the Festival. Joanne follows in the footsteps of inspirational Irish figures, Nicky Byrne, Katie Taylor, legendary GAA commentator Mícheál Ó Muircheartaigh, and most recently Brendan O’Carroll. St. Patrick’s Festival will take place this year from 17th - 20th March. 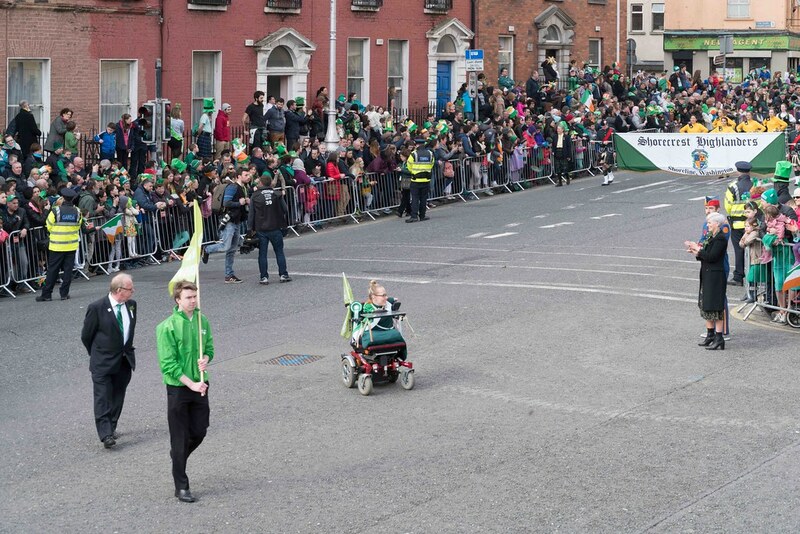 For details on the programme log on to www.stpatricksfestival.ie, download the app, or join the Festival’s official Facebook https://www.facebook.com/StPatricksFestivalIreland/?fref=ts and follow on Twitter https://twitter.com/stpatricksfest. St. Patrick’s Festival is funded by Fáilte Ireland and Dublin City Council. The principal aim of St. Patrick’s Festival, since its inauguration, is to develop a major annual international festival around the national holiday over which the Irish people would stand proud. It sets out to reflect the talents and achievements of Irish people on many national and world stages, and it acts as an exciting showcase for the manifold skills of the people of Ireland, of every age and social background. There were over 112,000 out-of-state visitors at St. Patrick’s Festival in 2015, including about 100,000 overseas visitors and 12,000 visitors from Northern Ireland. These visitors spent an average of 6.5 days in Ireland, and 4.5 days in Dublin, with two people travelling in the average visiting party. With an average expenditure per person of just over €650 in Ireland, including over €450 per person in Dublin, this means that out-of-state visitors generated an estimated total expenditure of €73m while in Ireland, including expenditure of €51.3m while in Dublin. The first St Patrick’s Festival was held over one day, and night, on March 17th 1996. The live audience for the day was estimated to be 430,000. Preparation for the first St. Patrick’s Festival used to take only 5 months, but with the growth of the Festival, it now takes 18 months to plan for Ireland’s biggest annual celebration.